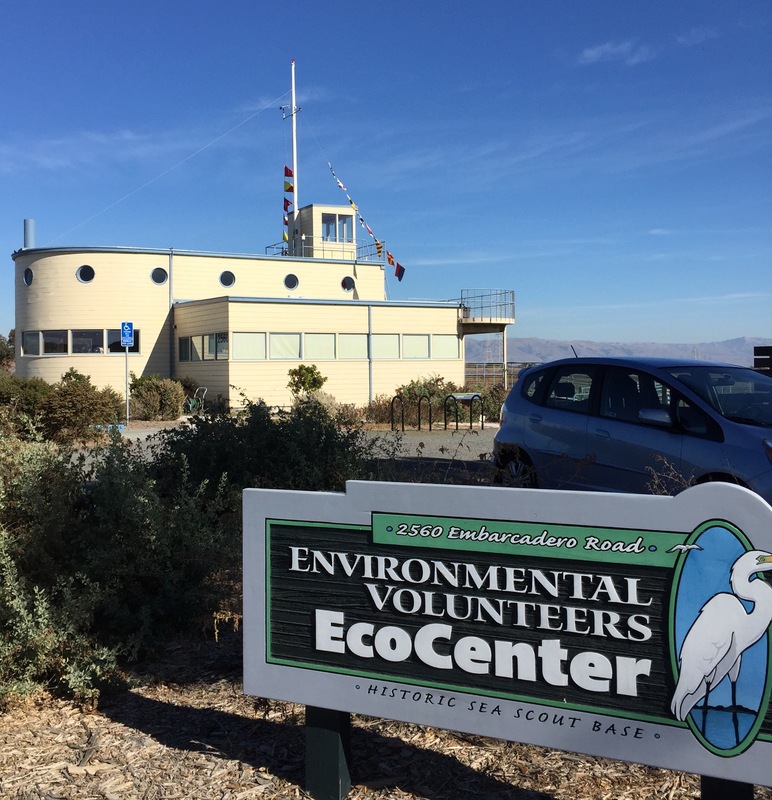 On San Francisco Bay in the Palo Alto Baylands Park sits the EcoCenter, which occupies the former Sea Scout building. There is a drought in CA and fresh water is hard to come by in Palo Alto. But, there is plenty of salt water nearby: Pacific Ocean to the West, San Francisco Bay to the East and the Golden Gate, with its famous bridge to the North. 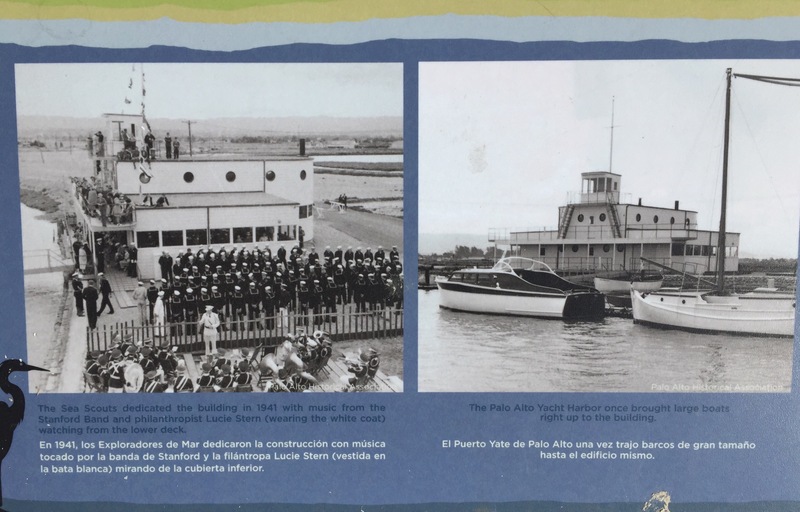 The Palo Alto EcoCenter was built in 1941 for the Sea Scouts who launched their boats into the boat harbor that once fronted the building. In 1986 the Palo Alto City Council voted to stop dredging the boat harbor and allow the marshes to restore to their natural state. The scouts moved North to the Port of Redwood City. The Sea Scout building fell into disrepair, but was restored in 2004 and is used daily by the Environment Volunteers. Prior to restoration the San Francisco Bay tides used to wash over the sills to flood the ground floor of the building. The water ate away the foundation and nearly destroyed the structure. 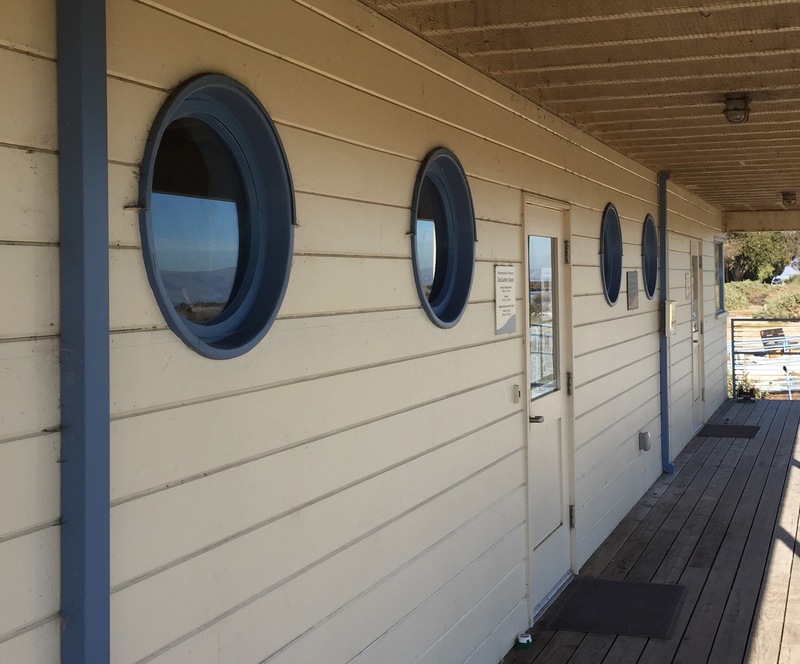 The Sea Scout building was designed by Palo Alto architect Birge Clark who took inspiration from the pilot house of an old paddle wheel steamer. The building, with its porthole-shaped windows and rounded walls, received a 1999 Award from the Art Deco Society of California, and was the template for the Maritime Museum Building in San Francisco. All photos taken with an iPhone 6 and cropped with the Apple Photos app. This entry was posted in Wordpress and tagged blogging101, photo101, wponthego by carto. Bookmark the permalink.